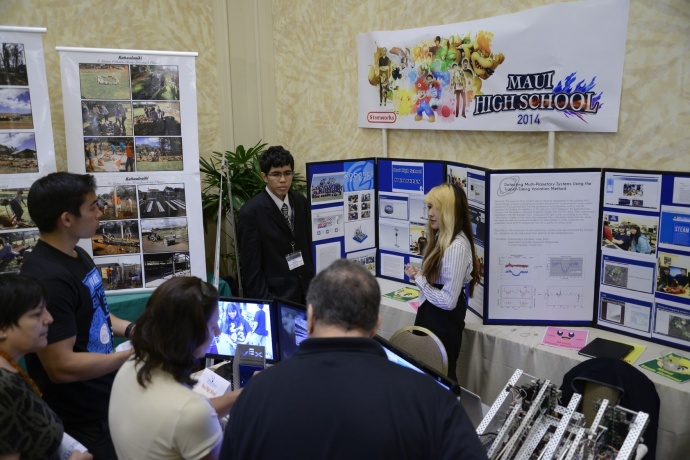 Project Impact Assessment presentation to the judges during the 2014 Hawaii STEM Conference. 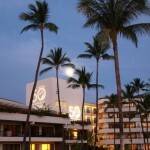 The Maui Economic Development Board’s Women in Technology program in partnership with the County of Maui sponsors the 6th Annual Hawaiʻi STEM Conference from April 17-18, 2015 at the Wailea Marriott Resort. The event will serve as host to 500+ students and educators from 30 intermediate and high schools across the state, who will get first-hand exposure to advanced technologies, new software training and real world challenges. 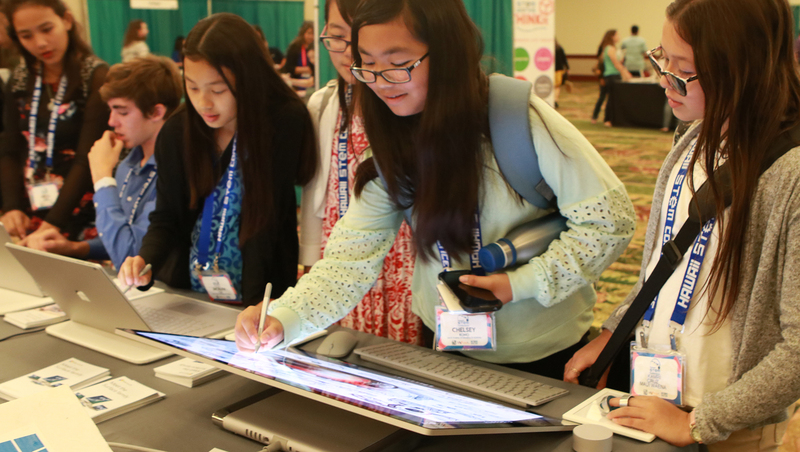 Since its inception in 2009, the Hawaiʻi STEM Conference has annually attracted prominent national partners and sponsors from top tech companies including the likes of Google, National Geographic, Apple for Education, SketchUp, Opterra and ESRI. This year, the conference welcomes for the first time Microsoft and NASA. This year’s conference features 31 student breakout sessions, 12 software competitions, a formal awards banquet and exhibit presentations. Keynote speakers include: Titan Gilroy, Titan Manufacturing; Erika Bergman, Co-founder of GEECs (Girls Engineering and Exploration Counselors) and National Geographic Explorer; and Lauren Thompson, Pearl Harbor Naval Shipyard. On the first day of the conference, participants will interact with five different STEM industry professionals in a mixer focused on career pathways, personal experiences and insights. Hands-on student sessions will be led by industry experts from: Microsoft, DevLeague LLC, UH Hilo-SDAV, UH Maui College, Goma Games, STEM Pre Academy, Maui Economic Development Board, Relativity School, OpTerra Energy Services, Janus Group, STEMworks, Elemental Minds, EPSCRoR/SDAV Team, Hawaiʻi State Department of Land & Natural Resources Aquatic Division, The Nature Conservancy of Hawaiʻi, HouseMart/Ben Franklin Crafts, OnStage Maui, and representatives from King Kekaulike High School, Maui High School and Waiakea Intermediate School. There will also be professional development sessions designed just for teachers to motivate and increase STEM learning in the classroom. “Events like this attest to the power of STEM,” said Isla Young, WIT Program Director in an event announcement. “Our hope is that by empowering our students – our future STEM stars – and educators with STEM abilities they can apply these skills to service-learning projects that can impact our community, if not the world,” she said.